A Sudoscan is a fast, painless, non-invasive test that quantifies your level of possible nerve degeneration or peripheral neuropathy. After diagnosis, quarterly or biannual Sudoscan tests may be performed to monitor reversal or progression of neuropathy. ABI, also called Ankle-Brachial Index test, is a test which compares the blood pressure in your ankles to the blood pressures in your arms. 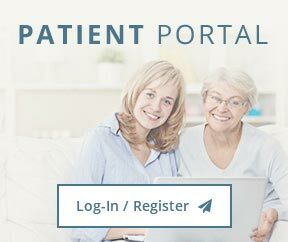 It is a safe and painless test that helps your physician determine if your legs are getting the proper amount of blood supply and predicting the severity of peripheral arterial disease (PAD). Patients with history of cardiovascular conditions, diabetes, smoking, obesity, and pain or loss of feeling in the arms, legs, or feet may benefit from an ABI. 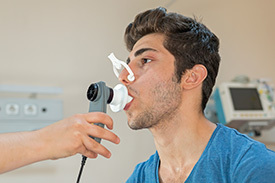 The hydrogen breath test is a test that uses the measurement of hydrogen in the breath to diagnose several conditions that cause gastrointestinal symptoms. In humans, only bacteria - specifically, anaerobic bacteria in the colon - are capable of producing hydrogen. The bacteria produce hydrogen when they are exposed to unabsorbed food, particularly sugars and carbohydrates, but not proteins or fats. Although limited hydrogen is produced from the small amounts of unabsorbed food that normally reach the colon, large amounts of hydrogen may be produced when there is a problem with the digestion or absorption of food in the small intestine, which allows more unabsorbed food to reach the colon. Large amounts of hydrogen also may be produced when the colon bacteria move back into the small intestine, a condition called bacterial overgrowth of the small bowel. In this latter instance, the bacteria are exposed to unabsorbed food that has not yet had a chance to completely traverse the small intestine to be fully digested and absorbed. Some of the hydrogen produced by the bacteria, whether in the small intestine or the colon, is absorbed into the blood flowing through the wall of the small intestine and colon. The hydrogen-containing blood travels to the lungs where the hydrogen is released and exhaled in the breath where it can be measured. The first is a condition in which dietary sugars are not digested normally. The most common sugar that is poorly digested is lactose, the sugar in milk. Individuals who are unable to properly digest lactose are referred to as lactose intolerant. Testing also may be used to diagnose problems with the digestion of other sugars such as sucrose, fructose and sorbitol. The second condition for which hydrogen breath testing is used is for diagnosing bacterial overgrowth of the small bowel, a condition in which larger-than-normal numbers of colonic bacteria are present in the small intestine. The third condition for which hydrogen breath testing is used is for diagnosing rapid passage of food through the small intestine. All three of these conditions may cause abdominal pain, abdominal bloating and distention, flatulence (passing gas in large amounts), and diarrhea. 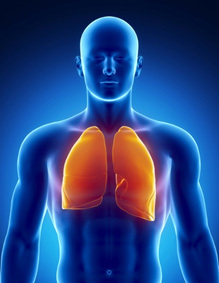 Pulmonary function tests (PFTs) are non-invasive tests that show how well the lungs are working. The test measures lung volume, capacity, rates of flow, and gas exchange. This information can help your healthcare provider diagnose and decide the treatment of certain lung disorders. Restrictive. This is when the chest muscles can't expand enough. This creates problems with air flow.